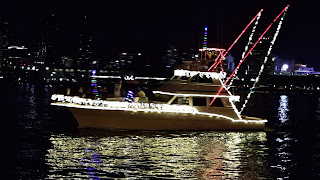 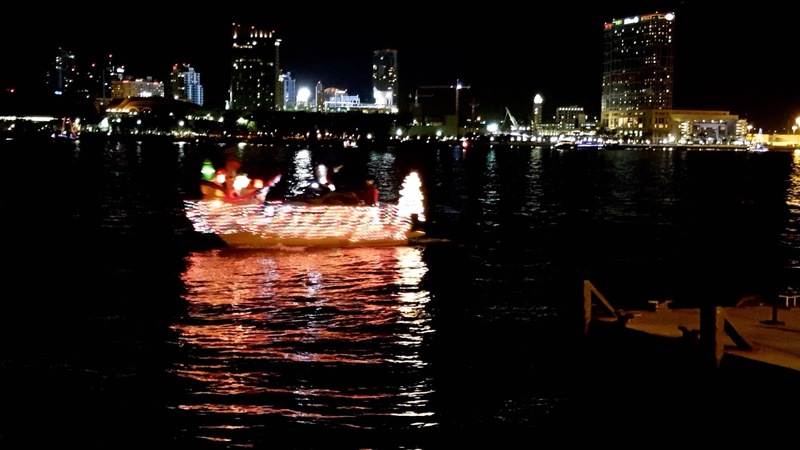 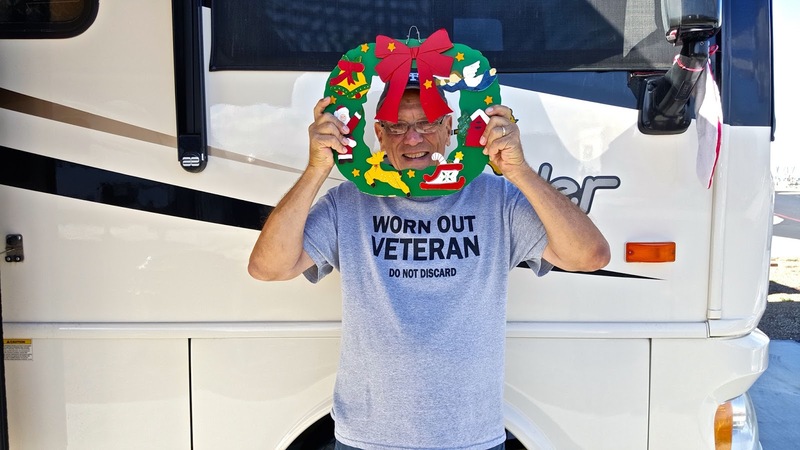 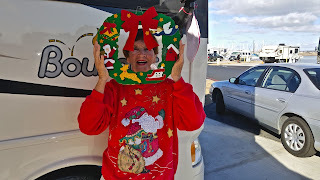 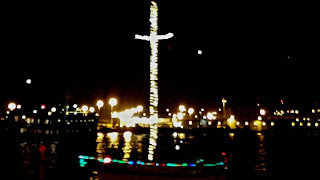 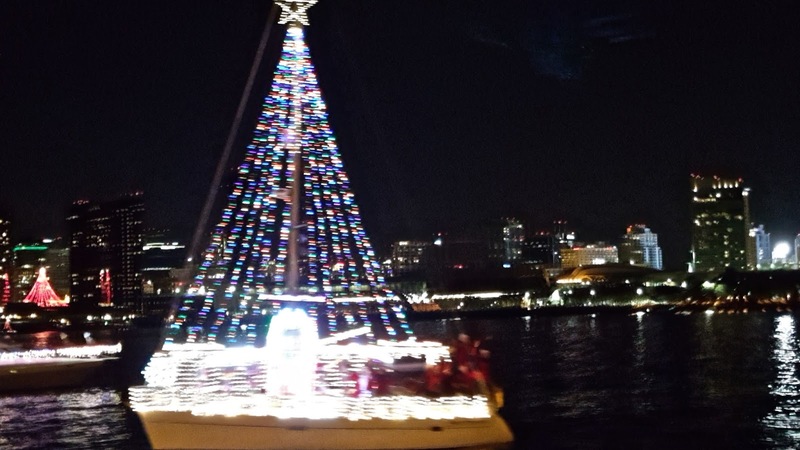 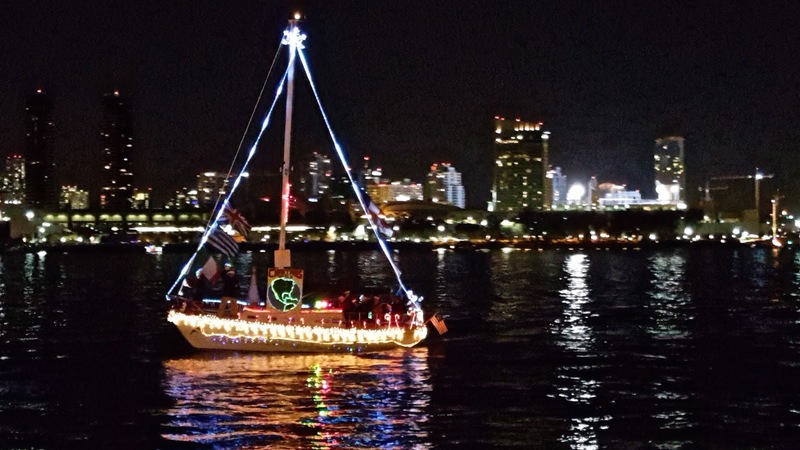 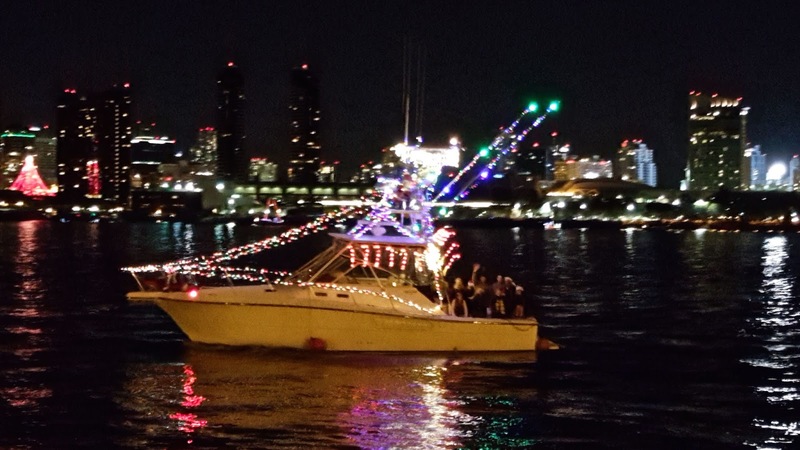 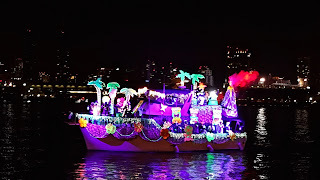 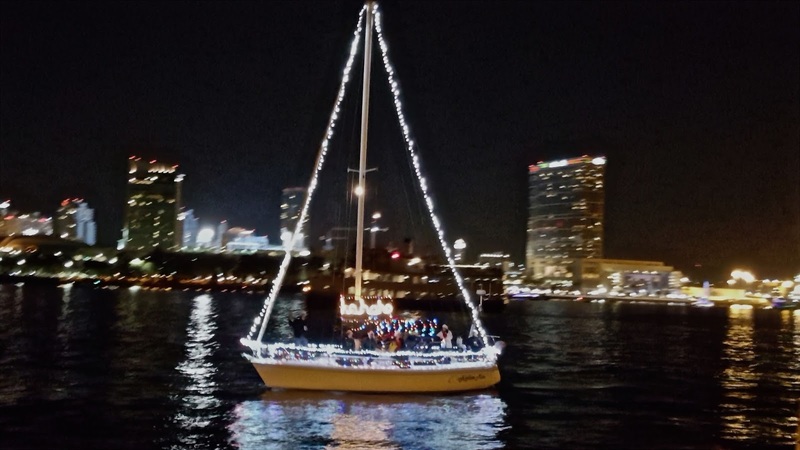 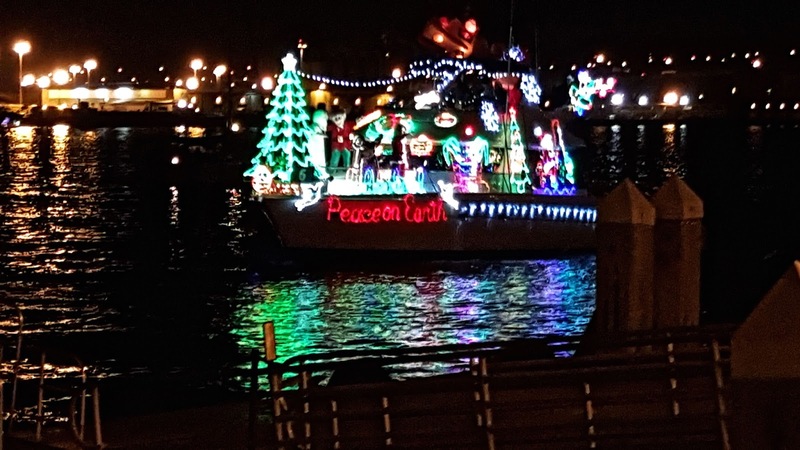 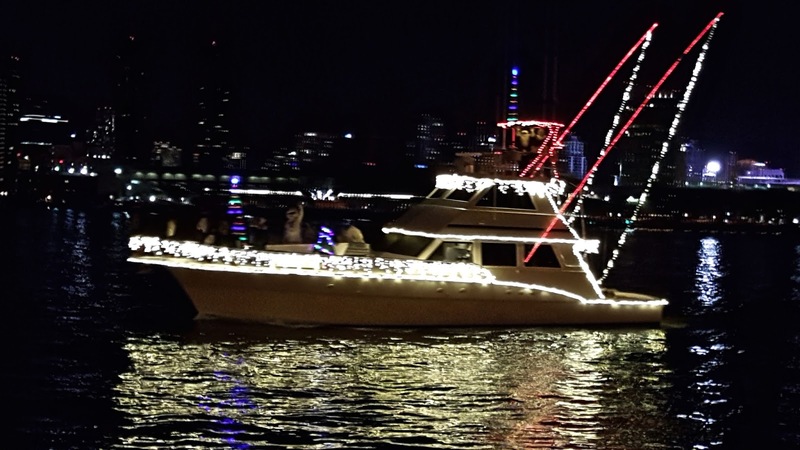 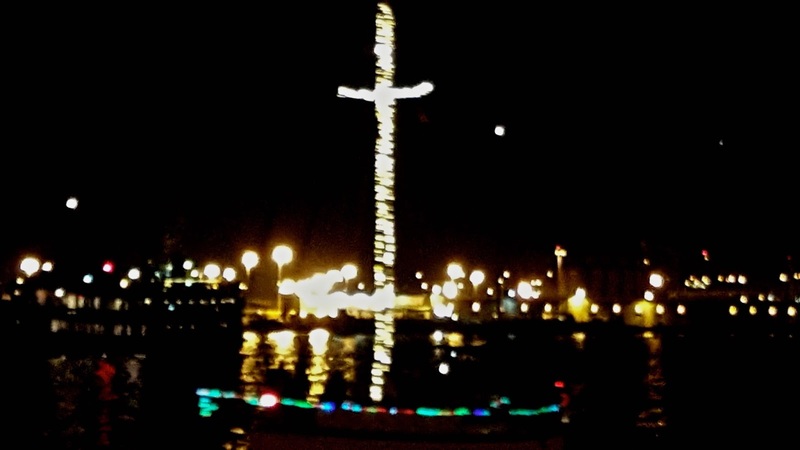 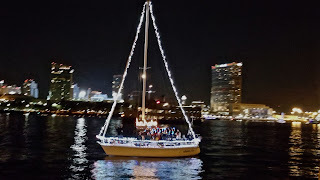 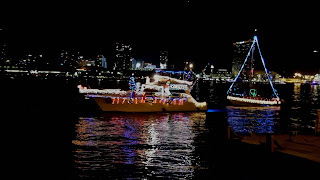 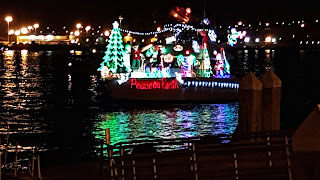 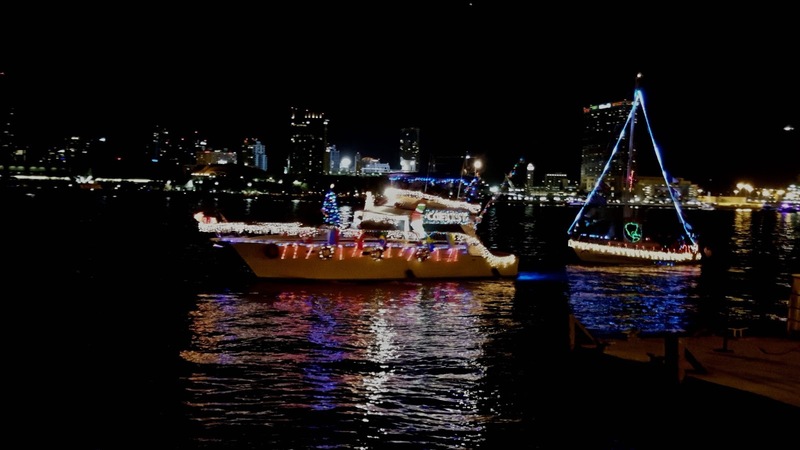 Tonight we drove down to the Ferry Landing to watch the lighted Christmas boat parade that starts at Shelter Island and goes to the Coronado Bridge. We had a good view from the Ferry pier at the end of Orange Ave in Coronado as they passed. 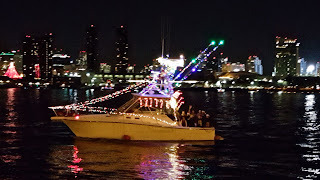 In all there are some 80 boats that participate, but we only stayed for the first part. 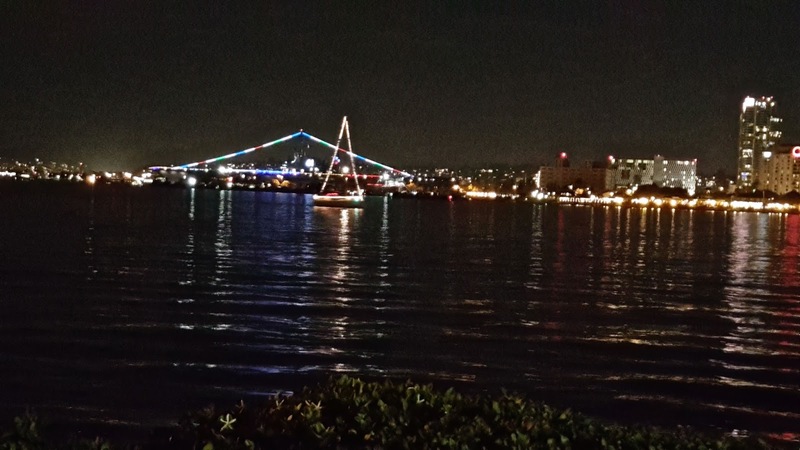 Still trying to master the Samsung phone camera, so photos aren't so great. 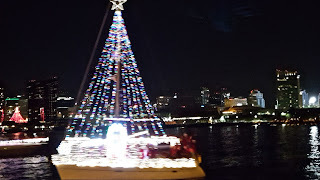 Learned later about a feature that you can give voice command to shoot picture. 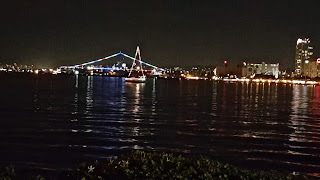 Will say the camera has a lot of good features that iPhone does not have.